China is a country where the ruling party does not follow many of the principles of classical liberalism. Bureaucracy there is as thick there as in India and as corrupt if not more. It is certainly lagging in terms of free speech. Situation of property rights there till 2007 was as bad as Russia. After 2007 it has improved but still remains far behind private property rights in India forget about comparing it with USA or UK. Inspite of all this Chinese people are considered among the most hard working people on planet. China has managed spectacular growth rate of over ten percent on an average for past 30 years. Its economy is second now after USA. The number of people lifted out of poverty is mind boggling. I find this a contradiction to what I am reading in BFN about socialism. Certainly inequality is ripe in china and increasing, a trade-mark of capitalism. But they are actually providing a lot of people with social minimum. It is not making most of Chinese people lazy or parasitic in nature actually quite opposite is true. The question that comes to my mind is this, how does liberty comes into picture for unleashing India and remove poverty from here? The engines of capitalism (in-spite of its pitfalls and side effects) are more than enough to take India forward. Even if the parties here do not understand liberalism , stick with their socialist welfare programs like Chinese, keep its bureaucracy thick as in China but just open markets at a broader level, will it not make this country unleash its potential ? If India’s 1992 experiment can be called weak liberalisation, China presents the case of strong liberalisation. And VERY STRONG public administration foundations. They are essentially following Singapore’s model, but with a very strong and vicious politcal party on top. Singapore followed an authoritarian model which was outstanding in two things: (a) economic reform and (b) new public management. China’s public sector companies are often as efficient as any private company in the world. Their internal incentives (the details of which I’m not very clear about, unfortuantely) seem to mimic Singapore. Remember, there are many aspects of classical liberalism: economic freedom, good public management, freedom of speech, freedom of money, freedom of association. China has PARTIALLY adopted the first two, even as it tightly curtails the last few. The problem is that this model is both incomplete and undesirable in the long run. China is at risk due to the central planning of money/ debt. Its lack of direct public involvement in decisions means a lot of money is being squandered. 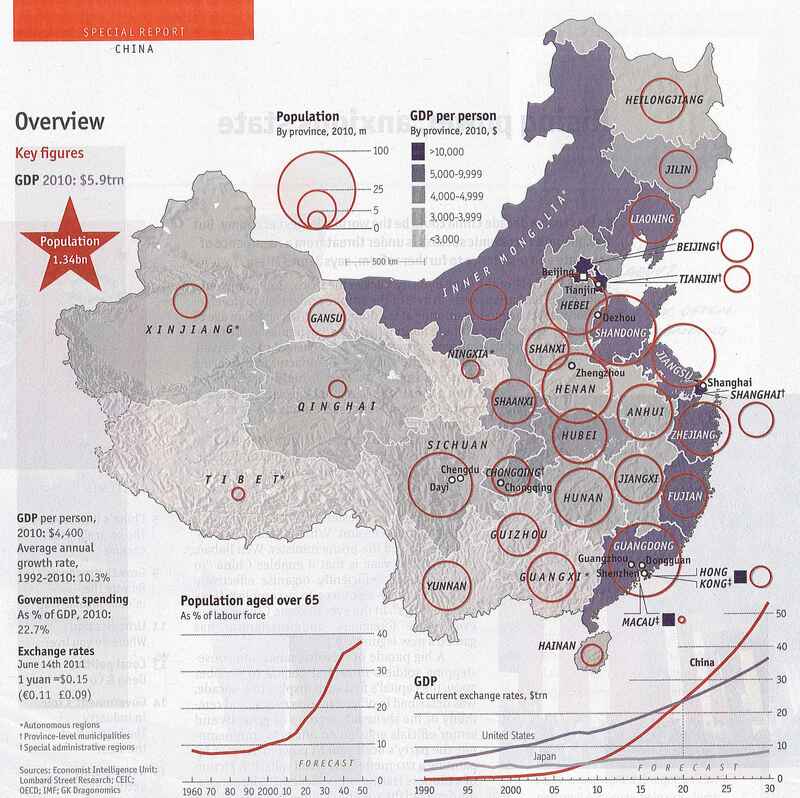 As a result China has one of the world’s largest outflows of top talent and capital. It is a leaking ship that is filling up with water. It is trying to be a cross between socialism and capitalism, and yet, that’s ALWAYS going to be better than pure socialism. As we have seen in India, as well. Is that to be the end-goal of India’s ambition? Maybe yours, but not mine. When we can do 100 times better than China, why settle for what is overall a rotten “system”. To your comment, I would like to add that in addition to economic freedom in the Free Trade Zones, the Chinese government and bureaucracy is friendly and welcoming to foreign investors, unlike the case with India. China is lacking in the rule of law, but strong government support and the size of the Chinese market is sufficient to attract foreign investors into China. So India will have to implement administrative reforms, judicial reforms, and economic reforms, and have investment-friendly governments at the state and central levels to replicate and even outperform China’s economic success.